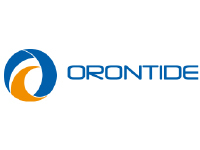 ORONTIDE is a leading Western Australian company that has been providing specialist engineering, preservation and maintenance services to the Mining and Resources; Oil and Gas; and Defence and Commercial Marine industries for over 35 years. ORONTIDE’s focus is on providing high quality maintenance engineering and surface treatment services designed to extend plant and equipment life, improve operating efficiencies and lower costs. ORONTIDE’s large pool of employees and extensive workshop space across Western Australia provide the resources and capability to deliver quality solutions to suit your specific and unique requirements. ORONTIDE’s client base includes Australia’s largest iron ore, alumina, nickel and gold miners, oil & gas producers, alternative energy developers, marine industries and Naval defence. Our consistent and continued growth over the years has seen ORONTIDE stand out as a proven, reliable and established performer in an ever changing and challenging market.